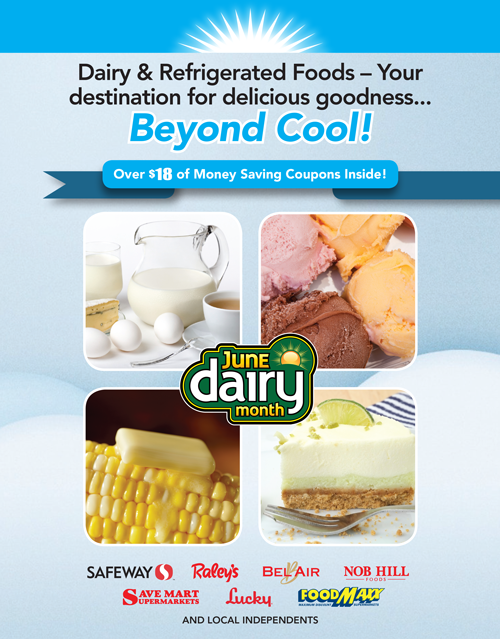 Frozen & Refrigerated Food Council June Dairy/Refrigerated Month Promotional Coupon Flyer. 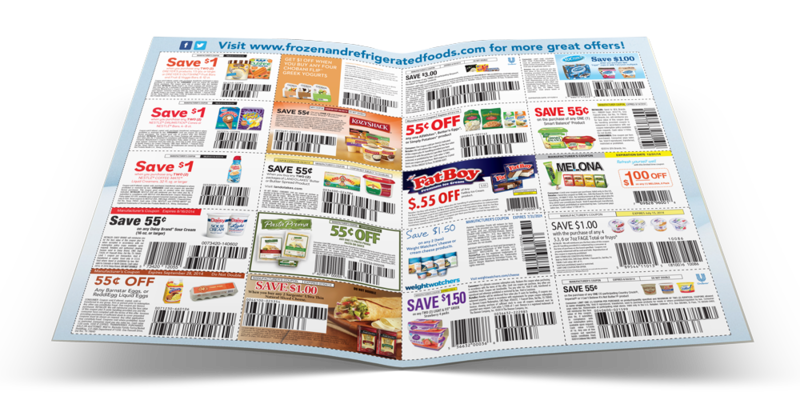 I designed and managed national coupon insertions into our coupon flyer, produced and prepared final art files, and supervised printing of 500,000 inserts. 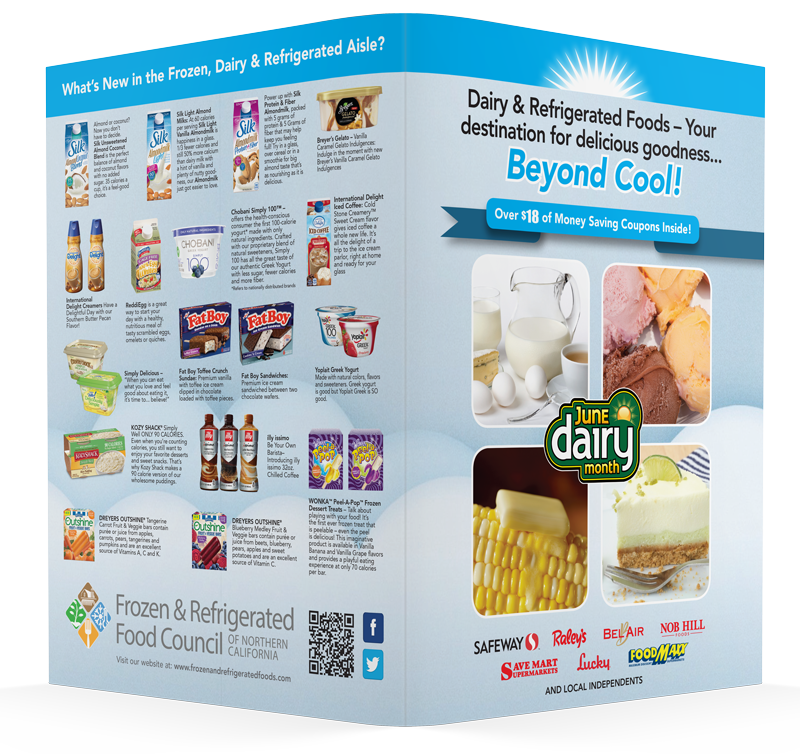 The Frozen and Refrigerated Food Council of Northern California's Dairy & Refrigerated Foods Promotion. The theme was "Your Destination for Delicious Goodness – Beyond Cool!" 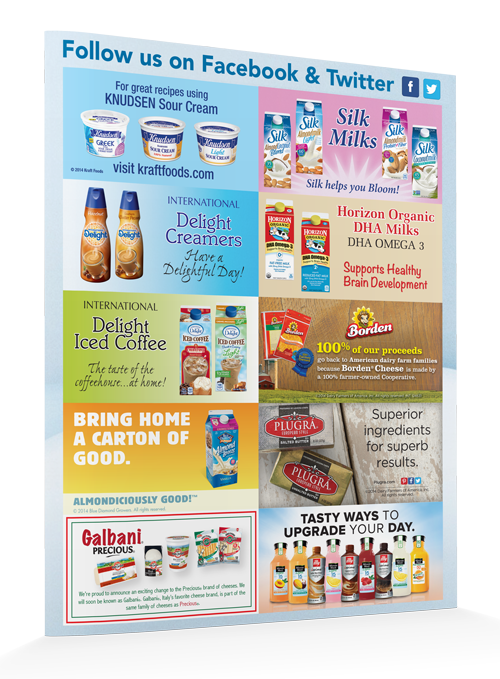 and the National Tie-in was June Dairy Month This is the regional (Northern California) promotion where 500,000 of these coupon flyers were inserted into local newspapers and were also on-hand at all the participating retailers in the promotion area. These are supported by local radio and on the council website and social media. 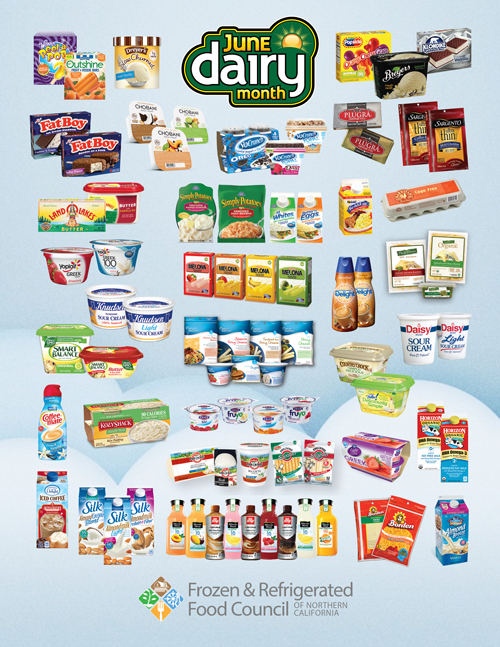 Below is a collage of participating national manufacturers that sponsored the Frozen & Refrigerated Food Council's June Dairy Promotion by purchasing coupon space on the coupon flyer and co-op radio, as well as decorating their stores with Council supplied POS.